With the implementation of the 18th Edition now a few months old, Bureau Veritas considers the impact of the amendment and what it means for electrical contractors. 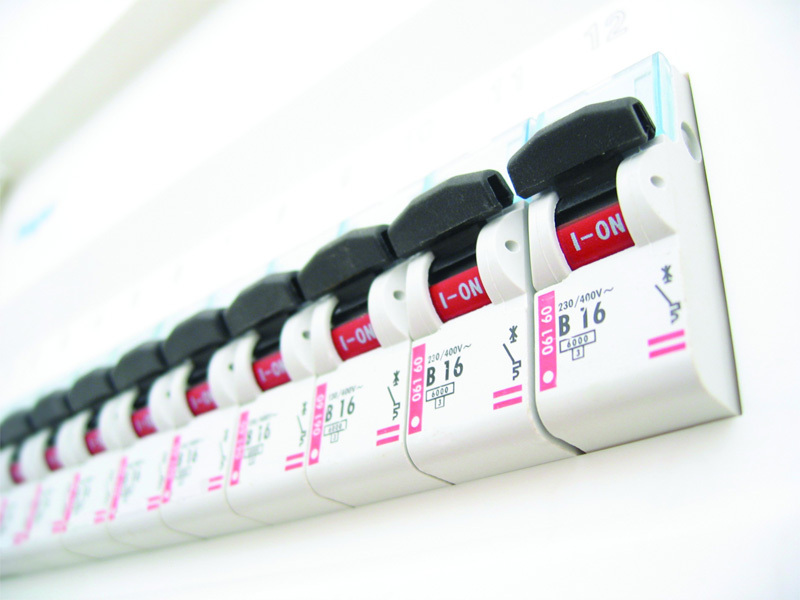 Heralded as the biggest shakeup of fire safety protection in decades, the 18th Edition of the IET Wiring Regulations applies to all new and rewired installations designed after January 2019. Michael Kenyon, Electrical Specialist at Bureau Veritas, runs through what it means for the electrical industry. What are the biggest changes the 18th Edition regulations bring? One of the most significant changes in the Edition is the recommendation that all designers should consider specifying arc fault detection devices (AFDDs) to mitigate the risk of fire in final circuits from arc fault currents. As AFDDs have never really been used in the industry, it may be challenging for installers as AFDDs will take up extra ways in distribution boards that might already be at capacity. As such, the regulation puts the onus on manufacturers to ensure there is greater availability of AFDDs post-implementation, when there will no doubt be a spike in demand for such products. There is also a need to innovate and design more compact affordable devices, some of which are starting to emerge in the marketplace. Another recommendation is that surge protection devices should also be included in all new installations to improve protection for sensitive electronic equipment and priceless artefacts. This will be of particular importance in data centres, commercial and public sector settings, including hospitals and care homes. Meanwhile, where it was previously stated that a wiring system located on escape routes had to be secured using metal ties to ensure it did not collapse prematurely in the event of a fire, this mandatory requirement now applies to the whole installation in a building. What have been the main challenges around implementation? As mentioned, the inclusion of arc fault detection devices (AFDDs) may present installation challenges for electricians and contractors. But these devices are also more expensive and this will need to be factored in when designing new installations. Overall, while these new standards are a welcome step in the right direction in reducing the risk of fire, there are rising concerns that it is becoming increasingly difficult to keep up with the rapid change of electrical legislation in recent years. For example, although the 17th Edition wiring regulations were released more than a decade ago (2008), they were subsequently updated in 2011, 2013 and 2015. With each amendment, it brought extra cost for purchasing revised books and resources. There’s already talk of the next amendment to the 18th Edition, so the overriding challenge will be maintaining the ongoing need to adapt and upskilling this requires. Are there any new opportunities the 18th Edition presents? The huge growth area is the installation of electrical vehicle charging points, with the 18th Edition setting out the most robust guidelines to date on this. A raft of companies, including budget supermarket giant Lidl, are investing significant sums to build a network of charging points across the UK and Ireland. This includes hotels, office car parks, retailers, business centres and universities, which are all set to be upgraded with charging points to accommodate the one million low polluting vehicles expected to hit the roads by 2020. It’s a great time for contractors to enter this business area and a notable recommendation in the Edition is that all electrical vehicle charging points must be protected using a30mA RCD and suitable over-current protective device. How can electricians/electrical contractors prepare for the new standard? For many electrical contractors, it is important to invest the time and resources getting to grips with the changes the 18th Edition brings. Many will find that they will have to complete the 18th Edition City & Guilds course as a lot of employers and clients will be requesting this as a standard. Bureau Veritas regularly works with duty holders to ensure the electrical infrastructure in the property is safe for use and complies with the latest regulations. For electrical contractors, this means considering the latest rules and recommendations when designing a new installation. And for those using specialist design software to do this, it’s worth ensuring the software has been updated with any 18th Edition calculations that may be required. How will the 18th Edition impact the industry long-term? Following the Grenfell disaster, fire safety has rightly dominated the news agenda for much of 2018. The 18th Edition will certainly raise standards across the board when it comes to reducing the risk of fire and electric shocks presented by poor electrical installations. Compliance is an ongoing process and, over the last decade, we’ve seen a major shift towards a greater emphasis on the use of residual current devices (RCDs). This is to not only prevent people from getting fatal electric shocks but also prevent fires. We expect this ‘safety first’ approach to intensify in the coming years. For instance, although the inclusion of AFDDs is currently just a recommendation, this will most likely become mandatory in successive amendments. It’s literally a matter of life and death for duty holders and electrical contractors alike to get ahead of the rules as achieving compliance with regular improvements and routine inspections will help to save lives. For more information, visit: www.bureauveritas.co.uk.